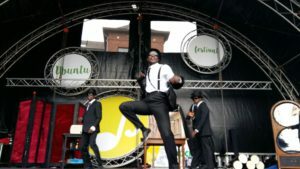 After three years on Boom’s quay, Ubuntu festival is taking a new start! New date, new location, new theme, but the same message of solidarity and with the same warmth and enthusiasm. An opportunity during the second weekend of September for you to resurrect the summer holiday! 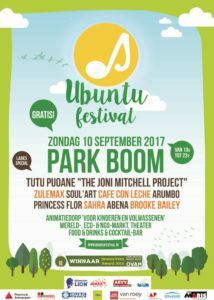 On 10th September Ubuntu festival welcomes all inhabitants of Boom and their (widespread) neighbours to the park in Boom for a free, atmospheric and green world festival. The spotlight this year will be on the power of women …..because they are worth it! The main stage will host some impressive ladies with equally impressive voices, the d-j’s will all be female and special, well deserved attention will be lavished upon all women in the animation village! As of one O’clock the park with be flooded with the sounds of Rumba, Salsa, Soul, Hiphop, Jazz and Reggae, courtesy of Café con Leche, Arumbo, Tutu Pouane, Zule Max and Soul’Art. In between shows, the women d-j’s will add their beats to nature’s rhythm. 2016 saw the festival win Ovam’s “GroenEventAward” for being Flanders’ most durable mid-sized festival. This fourth edition will seek to obtain the same acknowledgement and award. DJ Merdan Taplak will be pushing all the right buttons on Saturday night. 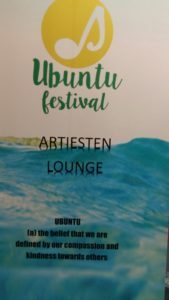 Na drie jaar op de kaai in Boom, neemt Ubuntu Festival een nieuwe start! Nieuwe datum, nieuwe locatie, nieuw thema, maar dezelfde boodschap van solidariteit en hetzelfde warme enthousiasme. Ideaal om in het tweede weekend van september de zomervakantie nog even terug op te rakelen! 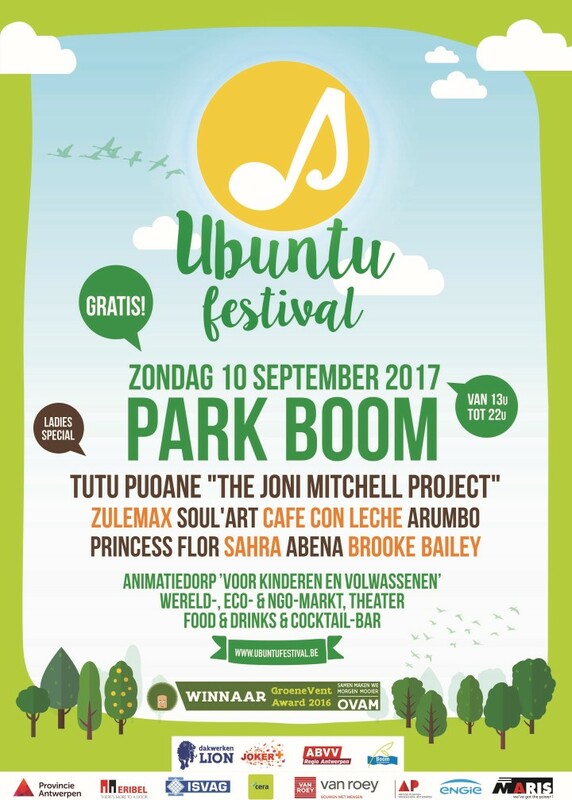 Op 10 september verwelkomt Ubuntu Festival alle Bomenaren en hun (verre) buren in het park van Boom, voor een gratis, sfeervol, groen wereldfestival. Dit jaar staat de kracht van vrouwen in de spotlight… omdat ze het waard zijn! Zo zal het stemgeluid van enkele straffe madammen weerklinken op het hoofdpodium, zijn de dj’s allemaal vrouwen en kunnen de dames in het animatiedorp genieten van een portie welverdiende aandacht! 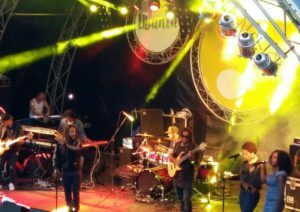 Vanaf 13u wordt het park overspoeld door Rumba-, Salsa-, Soul-, Hiphop-, Jazz- en Reggaeklanken met Café con Leche, Arumbo, Tutu Pouane, Zule Max en Soul ‘Art. Tussen de optredens door zorgen de vrouwelijke dj’s voor een stevig ritme in de natuur. 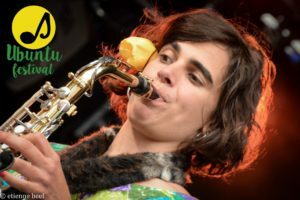 In 2016 haalde het festival de GroenEventAward van Ovam binnen als het meest duurzame middelgroot festival van Vlaanderen. Met deze vierde editie dingen ze opnieuw mee naar deze prijs. 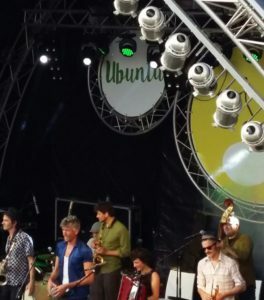 Zaterdag 9 september reserveert Ubuntu Festival voor een gezellig buurtfeest in het Park. 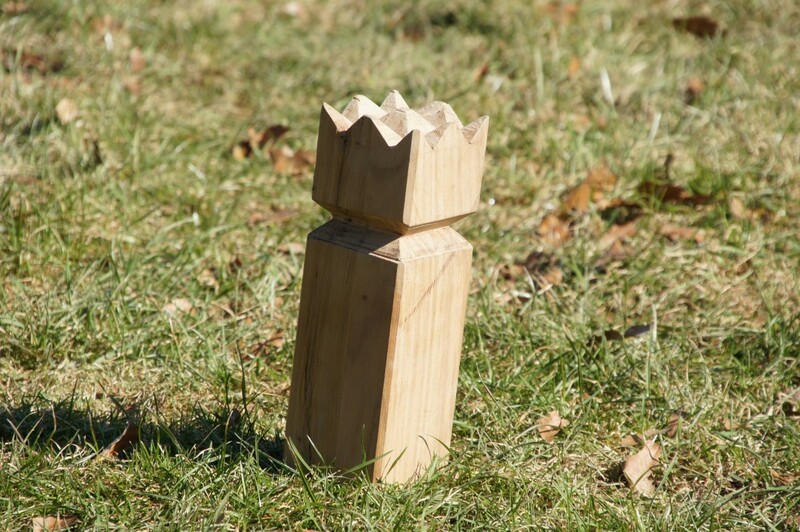 Overdag kan je deelnemen aan een kubbtornooi met leuke achtergrondmuziek en een hapje eten en drinken. Inschrijven voor het kubbtornooi doe je door € 10 (per ploeg) over te schrijven op rekeningnummer BE95973113977458 en een mailtje naar kubbs@ubuntufestival.be . Zaterdagavond staat DJ Merdan Taplak aan de knoppen. 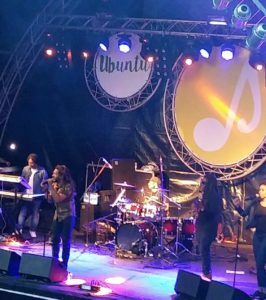 Meer details laatste updates via www.ubuntufestival en facebook Ubuntu Festival 2017. Forging a link between the Ubuntu Festival Belgium and the Ubuntu Festival South Africa. The ‪#‎UbuntuFestival‬ in the town of Boom near Antwerp in ‪#‎Belgium‬ was a big success. 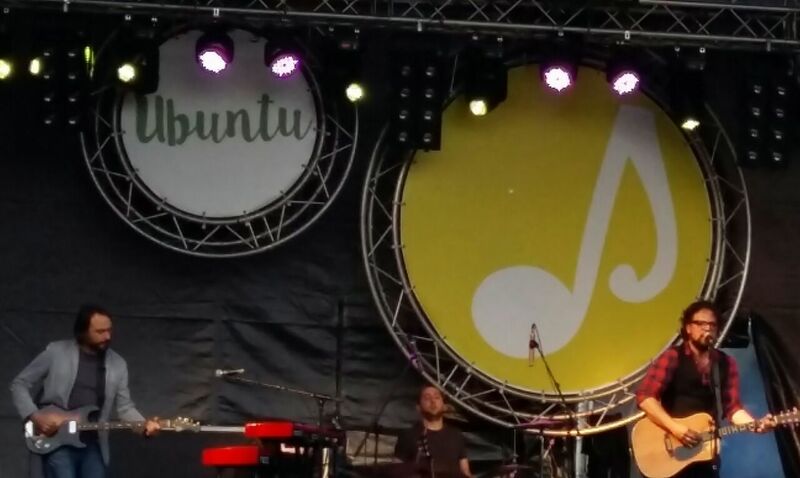 ‪#‎KevinChaplin‬ opened the Festival and also did a workshop informing people about Ubuntu and the Amy Biehl Foundation. Amy Relate “R” bracelets were on sale. 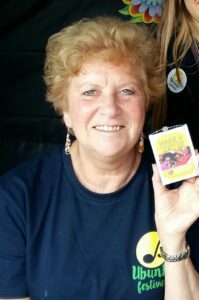 150 volunteers worked at the festival. The festival bought bracelets for the volunteers and Kevin thanked all volunteers for showing what ubuntu is all about. 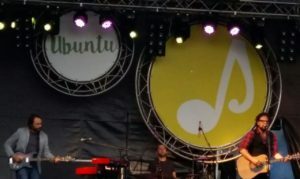 Photos from the Ubuntu Festival in Belgium in a town called Boom near Antwerp. Kevin did a workshop about Ubuntu and then introduced the entertainment. Lots of food stands and mucical acts. Kevin photographed here with Sven to his right and Kyo on his far left who made the 3rd Ubuntu Festival possible. Suzy, Sven’s mother-in-law and Patsy, his aunt enjoying the festivities. This will be the third free Ubuntu Festival in Belgium and planned for 19 June 2016 on the banks of the river Rupel. 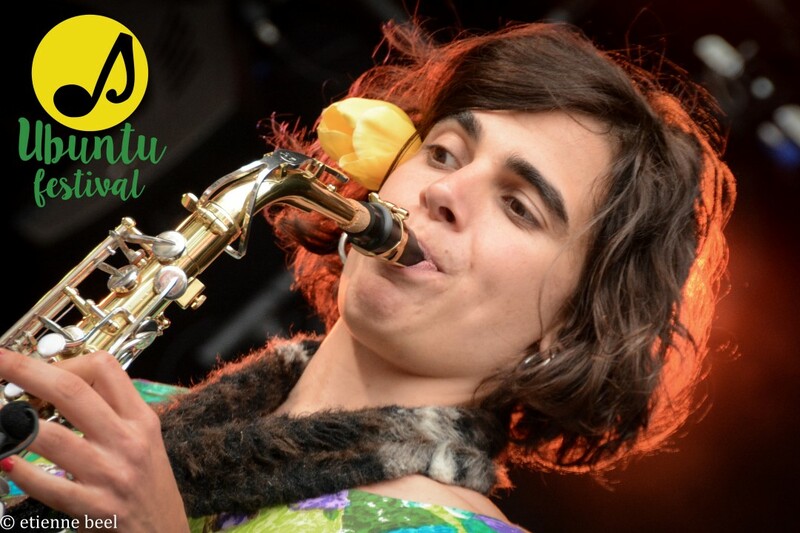 he main essence of our festival is to bring people together and inform them about ecology, solidarity initiatives, sustainability etc… Music is provided by local and international acts and we provide information and animation for visitors between 4yrs until 99yrs. 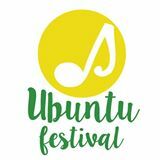 The festival will be opened by a singer/songwriter with South African roots: Stefan Dixon. 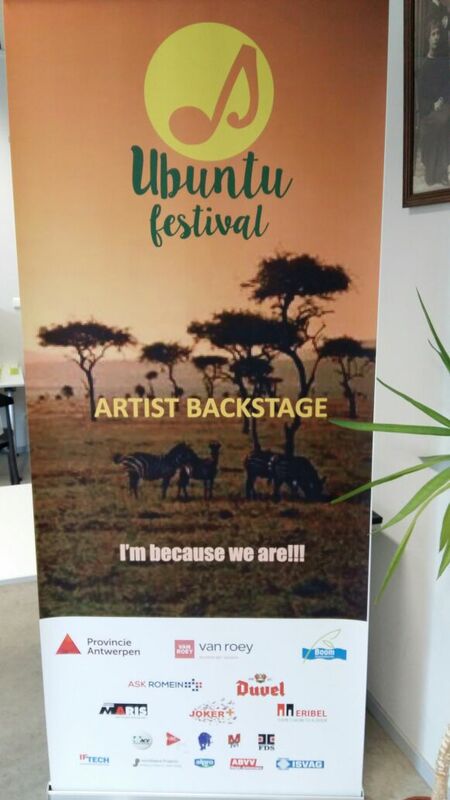 The baseline of our festival is “I am because we are”. In 2013 a bigger world solidarity festival, “Mano Mundo”, had to stop due to the financial crisis and budget cuts. The governement stopped supporting this free festival about solidarity, sustainability and ecology. 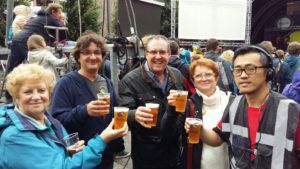 A few volunteers from this festival kept the vibe and started organizing a new festival with the same principals but with a decimation of the budget and a smaller podium. 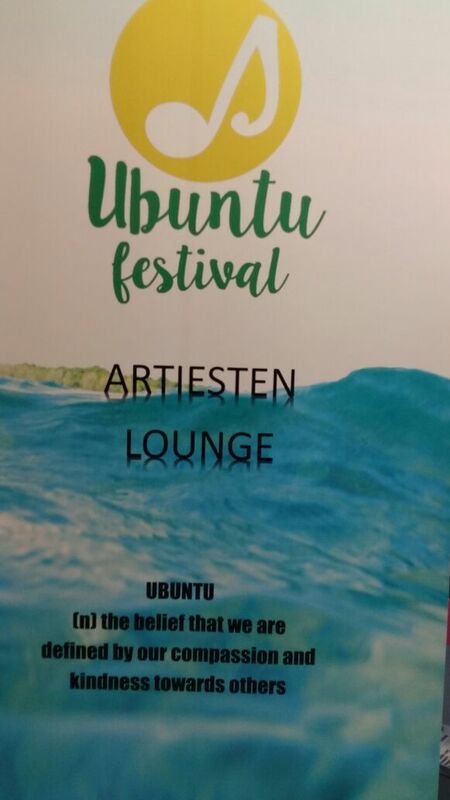 We chose Ubuntu as the name for our festival because of its wide range of meanings. 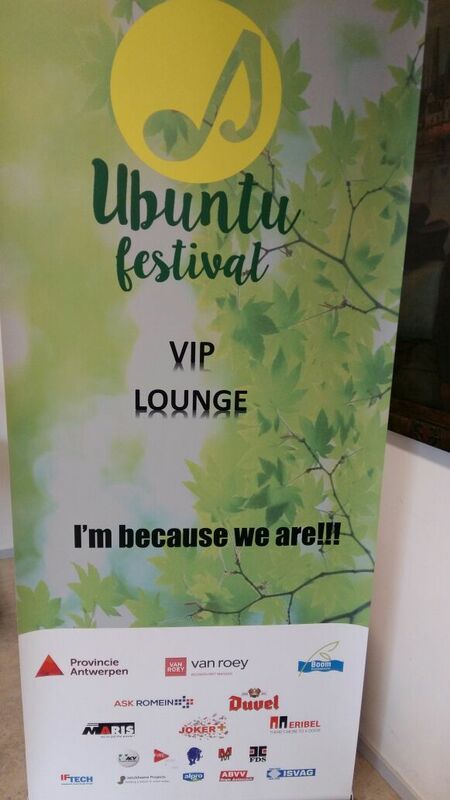 We try to inspire our visitors with the values of Ubuntu and its beliefs. 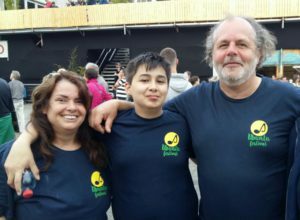 We provide information about several NGO’s and other organisations and try to work with ecological materials, fair trade and biological foods. 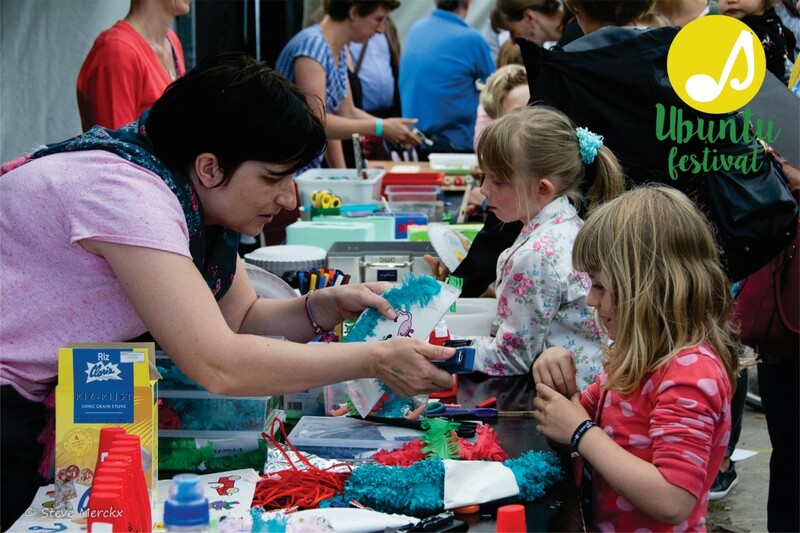 Mano Mundo had 80000 visitors during one weekend. 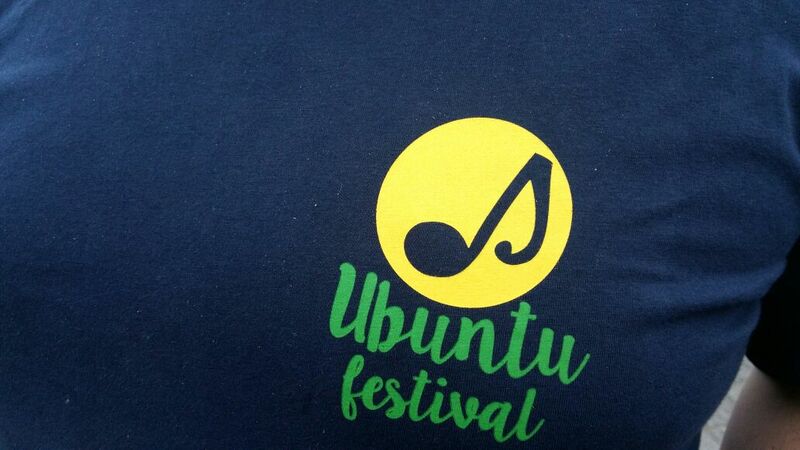 The first edition of Ubuntu Festival welcomed 6000 visitors. 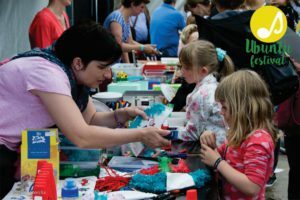 The seccond edition had 10000 visitors during the day. 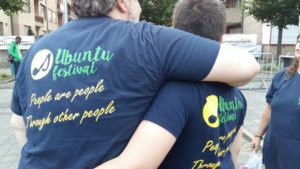 We can say that Ubuntu Festival, and with this our believes and values, is growing. In 2015 we even tried to break a world record “the longest picknick”. We organized a picknick with free biological, healthy meals. We invited organisations who work with people who live in poverty, who work with refugees and third world organisations. 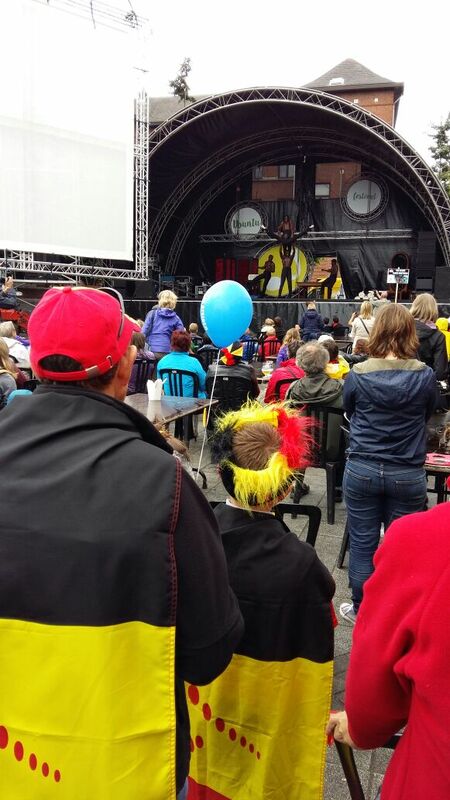 At the same time we invited local inhabitants, sports clubs, cultural organisations etc… The main idea was to get 1000 people shoulder to shoulder, regardles of origing, religion or social position…and it worked: 834 visitors participated at the banks of the river Rupel. In the links below you can find the facebook page and some photosfrom organisations that attended the Belgium festival. 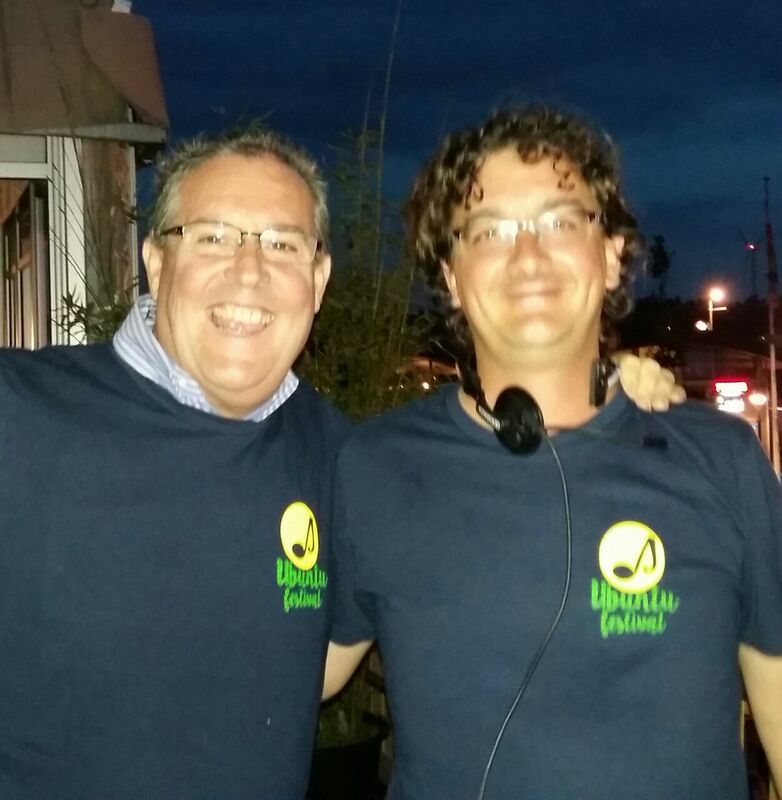 Also a broadcast from a local television network will give you an idea of our festival. During the following months a lot of extra information will be placed on the website.